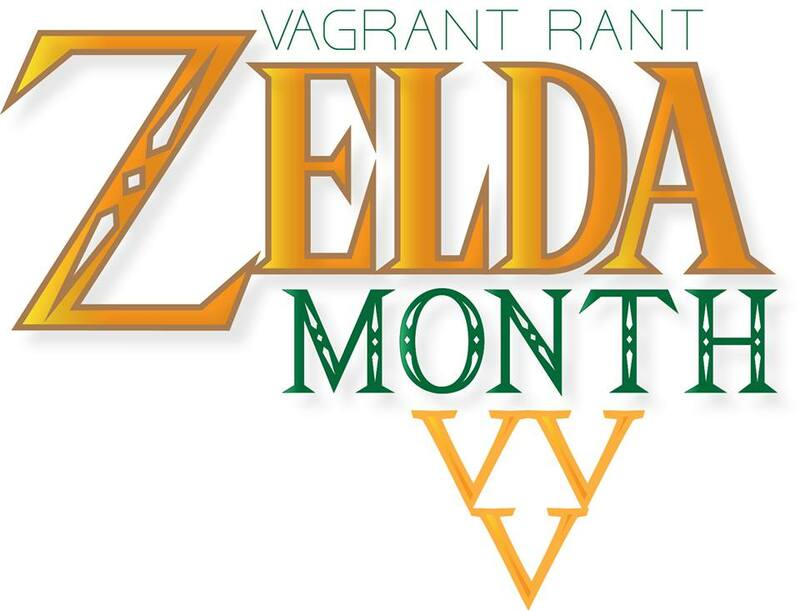 This is it – the quintessential bread and butter of the Zelda series. Every Zelda game has them and every Zelda game is judged by them. No matter what aspect of the so-called Zelda formula that resonates with you the most – whether it be story, item selection, music, combat, enemy design, sidequests or the like – if you do not enjoy playing through Zelda dungeons then to be honest your gaming time is better spent elsewhere. Dungeons comprise at least 50% of the average playtime of most Zelda games and they very rarely fail to deliver on quality, satisfying puzzle solving and real immersion. Distilling well over 100 Zelda dungeons into my top fifteen favourites was not easy in the slightest. To help me narrow it down I tried to keep the dungeon qualities that are most important to me at the top of the pile when it came to ordering the list. That means things like difficulty and length are largely inconsequential while factors like uniqueness and atmosphere are king. Bosses are completely out of the picture unless they appear throughout the dungeon before the fight at the end. They have their own list anyway. Structurally speaking, Skull Woods stands out from its A Link to the Past dungeon brethren like a sore thumb. For one, it almost completely takes over what is normally the Lost Woods (in the Light World at least), making it quite possibly the biggest dungeon in the game in terms of pure surface area. Furthermore, the Skull Woods is laid out in such a way that traversing its mostly underground tunnels requires frequent visits to the wooded surface. Running through a ghastly off-colour representation of what is normally an overworld area as part of a dungeon adds a real alien freshness to proceedings. The Earth Temple takes out two birds with one stone when it comes to classic Zelda dungeon tropes – it fills the role of both the, ahem, earth element dungeon and the undead/shadow/spooky dungeon. If you thought scares weren’t possible with the art style of The Wind Waker, playing this dungeon will likely change your mind fast. Mechanically the dungeon excels above any other in the game, as the two defining themes that run through it are switching control between Link and Medli, a charming native of Dragon Roost Island capable of flight, and some excellent light reflection puzzles. The part of the dungeon where those two interweaving elements combine is nothing short of zen brilliance. If it isn’t already obvious that I really enjoyed the newly added elements found within the Game Boy Advance port of SNES classic A Link to the Past, it probably should be. The Palace of the Four Sword is an example of how to do a “tribute dungeon” (and really any kind of tribute level) right. Bosses from earlier in the regular game reappear as minibosses in the Palace, but they aren’t simply repeat fights. Each one has a fresh look to it and packs new attacks and movement patterns to boot, making them feel new again. Puzzles are satisfying and the dungeon itself is rather colourful, which is nearly always a plus in my book. Few who have played Link’s Awakening can deny the impact of Eagles’ Tower. The late-game monolith reveals its entrance by slowly rotating via a miniature cutscene that pushes the Game Boy hardware and still manages to look impressive today. There is a real sense of verticality to the tower, which revolves around the central conceit of smacking around four gigantic iron spheres until they can be knocked into four corrsponding pillars. Doing so will collapse the fourth floor of the dungeon into the third one, unlocking a path to the roof. Such a novel idea inspired similar manifestations in Majora’s Mask and Skyward Sword and is executed so well that there was never any danger of another Link’s Awakening dungeon beating the tower to this list. I may have only finished two dungeons of The Minish Cap at the time of writing, but that doesn’t stop Deepwood Shrine from being my favourite first-up dungeon in the entire Zelda series. There can be little doubt that an initial dungeon needs to be relatively easy to introduce new players into the game smoothly, but that doesn’t mean it has to be dull or uninteresting, and the Deepwood Shrine understands that better than most. Showing players some of the conceptual benefits of the ability to shrink down to the size of a bug right off the bat works incredibly well here, with giant dust particles and an even bigger central rotating barrel figuring prominently in the dungeon’s design. Bravo, Capcom. Known as the Desert Temple in the PAL version of the game, Spirit Tracks’ Desert Temple is a very cleverly constructed dungeon. It isn’t quite the sandiest of all the desert themed Zelda dungeons (that honour would probably go to the Arbiter’s Grounds from Twilight Princess), but it packs enough brand new mechanics and ideas to fill an entire lesser action game. The dungeon-specific Sand Wand item is used to manipulate parts of the dungeon itself to push boulders, maneuvre block puzzles, access new areas, unearth treasures and, most satisfyingly, immobilise pesky enemies. Seriously, the best Stalfos fights in the whole series happen in this temple. The Sandship is a very unusual dungeon. Even before you factor in how you reach it (by chasing it down on a sea of sand while it is cloaked from view), the fact remains that it is literally just an old, run-down ship. Traversal takes place on the ship’s deck, in the cabins and rooms below and even across the masts high above. What makes this work so very well as the setting for a full Zelda dungeon is the added element of time travel. By hitting one switch near the centre of the ship, Link can immediately alternate between exploring the worn, tattered husk of a vessel and the same vessel centuries earlier, all shiny and working and magnificent. This locks and unlocks pathways, fundamentally changes rooms and yet never gets confusing. Amazing. Twilight Princess is sometimes criticised for pandering too much to the whims of fans baying for a proper spiritual successor to Ocarina of Time. One particular piece of evidence used to support this is the appearance of the Temple of Time as a fully playable dungeon in TP, following rumours that it originally existed as such in OoT but was later reduced to just a single room due to time constraints. Regardless of whatever this may or may not imply, the Temple of Time is a very cleverly crafted dungeon that turns the concept of a dungeon map’s ‘endpoint’ on its head by instead making it the middle. The second half of the temple is essentially the first half in reverse while ordering a gigantic statue to smash things for you. A staple of top ten Zelda dungeon lists all over the internet, I’ve seen the Stone Tower Temple used as an example of ideal dungeon design on more than a few occasions. Incredibly complex, the fourth and final temple of Majora’s Mask requires a hefty amount of brain power and your whole suite of transformative masks to get through. In addition to slicing, rolling, punching, diving, swimming and flying your way past obstacles, you also need to play the Elegy of Emptiness song to create up to three creepy clone shells of yourself to weigh down switches, then flip the entire dungeon upside down. This dungeon has it all, really. The forest themed dungeon is an ever-present tradition in Zelda games, but not one of them has nailed the feel of actually being in a forest quite as well as the Forbidden Woods from The Wind Waker. The dungeon is quite simply massive and in my opinion it makes the best use of the game’s unique art style of all the main showpieces throughout the adventure. Glowing fireflies and gentle spores flitter through the air, piles of leaves hide cool secrets and deep shades of green grant abundant life to every room. Upon every return to the central hall a new corner of this wonderfully realised mini-ecosystem is unlocked and when the boss room beckons it’s almost a shame to leave it all behind. The first dungeon-shaped embodiment of one of Skyward Sword‘s freshest and most praised mechanics, the location-sensitive time stones (later revisited on the Sandship), the Lanayru Mining Facility also happens to be the Wii swan song’s first real standout dungeon. The decrepit factory setting comes to life in tiny moving pockets as time literally rewinds around Link, reducing tough enemies to rubble and then bringing them back within seconds. Link’s actions in the distant past affect his present in very tangible and puzzle-y fashion while the facility’s item, the Gust Bellows, gels particularly well with the concept of an old and dusty place hiding plenty of secrets. One of the few desert-dwelling temples in the Zelda series not to centre around sand and its properties, the Spirit Temple is rather designed as a dynamic reflection of Link’s incredible journey up to the point when Navi directs you to its entrance. To complete the Spirit Temple you’ll have to go back seven years into the past, returning as Link’s younger self so you can use his smaller stature and exclusive items to unblock the “adult wing” of the temple. No dungeon serves as a better micro-summary of an entire narrative, not to mention that as the home of the three-dimensional debut of the Mirror Shield, the Spirit Temple deserves mention for housing some amazing light reflection puzzles (although admittedly, I have yet to play a Zelda game that hasn’t done them well). Ascending the snowy mountain leading up to the fifth dungeon of Twilight Princess back in 2006 raised my hopes for a genuine full 3D ice dungeon, something I had yet to see in my experience with the Zelda series. While that isn’t exactly what I got, Snowpeak Ruins is such an incredibly amazing feat that it was hard to care. The dungeon takes the form of a yeti’s gigantic personal mansion, quite spectacularly combining incredibly hostile elements such as ice soldiers, heavy duty cannons and packs of wolves with comfortingly domestic ones. The progress marker of the dungeon is none other than a pot of soup! The Snowpeak Ruins also features satisfying ice shattering, a reinvention of the ice block puzzle and an ingenious new use for the classic dungeon item the Compass. Classy design from start to finish. The City in the Sky from Twilight Princess simply oozes atmosphere from every crevice of its fantastical sprawling layout. Much like the Snowpeak Ruins, the City in the Sky doubles as the dwelling place for a fantasy race, in this case the unsettling chicken-ghoul hybrids the Oocca. After getting shot into the sky by a giant cannon, you land in a pool of water at the end of a catwalk leading to an incredibly majestic hall with tiles that fall away beneath your feet. You cannot ever trust the floor, but with a Clawshot on each arm, why would you need to? Overgrown vines weave their way across great stone structures that have withstood centuries of gales so strong they will blow you away without the Iron Boots equipped. Distant glimpses of the tyrannical dragon creature running the show hint at the bombastic finale to come. The whole experience feels like a playable Hayao Miyazaki film, and there really isn’t any higher compliment I can pay. So, so classic. Almost everyone who ever owned a Nintendo 64 console will remember this dungeon. How good was that moment when you first figured out how to break the central web? A boomerang that infuses itself with ice and fire by passing through torches, a musical note themed central bell puzzle that requires actual thought and the first pure ice aesthetic in a full dungeon since A Link to the Past – these things and more do an amazing dungeon make. These things and more lie in the Blizzard Temple. In a game boasting some exceptionally creative dungeons, the final trial for the first-ever Link (so far, at least) to tackle is a fittingly clever reinterpretation of the classic “last dungeon mixes elements from all previous dungeons” trope. The entire place is build like a sliding puzzle and you use a special terminal to move the rooms around as you see fit. Wonderfully non-linear. Going right to the source of all the dark energy and creepy-as masked foes that you’ve had to deal with for almost the entirety of Twilight Princess is an exciting prospect and it does not fail to deliver. Not least because it looks so damn pretty, with purples, deep blues and smoky dark shadows combining in spectacular fashion throughout. I do not have fond memories of my first run through the Forest Temple. The place used to scare me witless back in the day. However there can be little denying that it is extremely well put together, with an atmospheric look, some clever twists on traditional usages of dungeon space and a structure that clearly marks progress via a central room. One couldn’t have asked for a better way to introduce players to the tough world of adult Link.